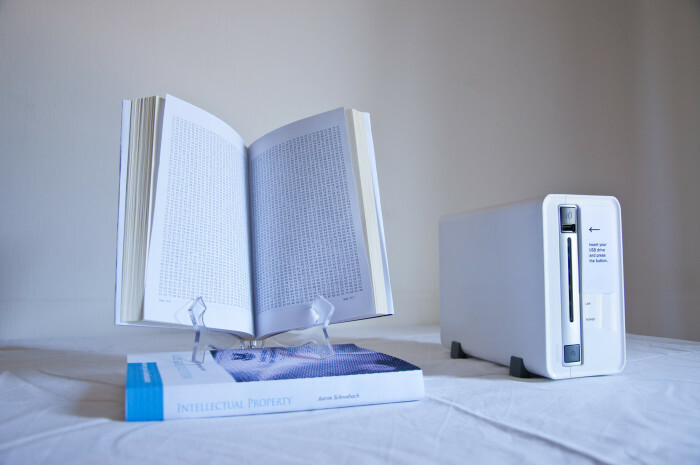 “[e-Book] Intellectual Property – A Reference Handbook” is a print of a pirate copy of the book of the same name, which is (as evident from the title) related to intellectual property. The text that constitutes this book isn’t the text written by the author, but it is the coding of the book itself, in hexadecimal code, used by computers. Does the author of this book’s work still exist in the code lines? Digital properties impose an ontological problem, that brings into question the legitimacy of intellectual property.